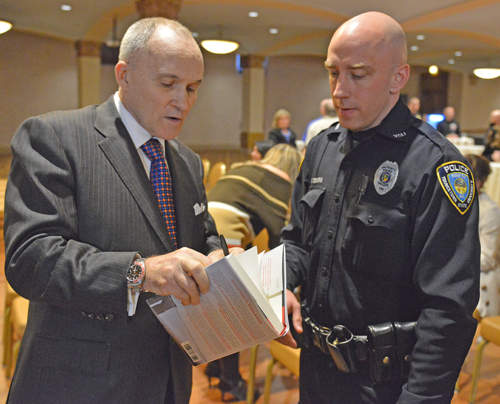 Raymond Kelly, former commissioner of the New York Police Department and a leading expert on national security, presented the YSU Skeggs Lecture earlier this month in Stambaugh Auditorium. Above, he signs a copy of his book for YSU Police Officer Adam Skovira. 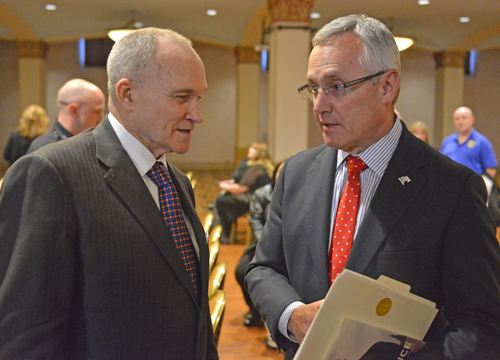 Below, he meets with President Jim Tressel.